This is my wife’s 9-3X TTiD 200 Griffin Hirsch MY12 on small trip to the nature. The place is called the “Frost wally” and was formed by the last ice age. 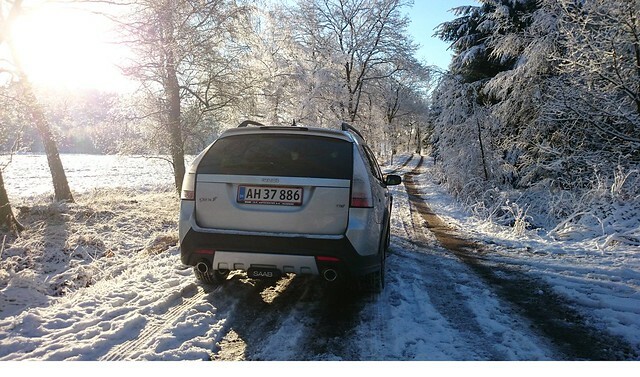 For those who like nature, snow and Saabs – here are some winter pictures that speak for them self! Between the pips is a badge installed from a classic 900 Turbo… this has become a family trend! This is after my opinion the car NEVS should have had their focus on in TTiD, BioPower and ePower. And my biggest dream is the TTiD with the eAAM system… Merry Xmas! 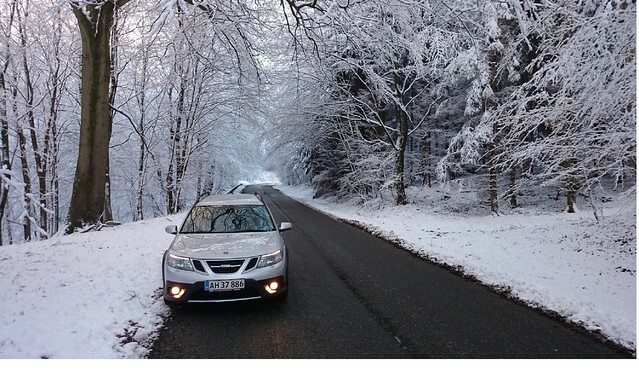 Jan has added a beautiful 9-3X to his Saab collection. I bought my wife Chris a new family car. 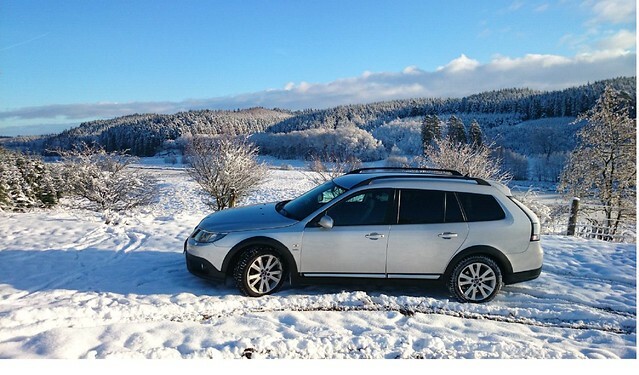 It is a 2011 Saab 9.3X 2.0t with AWD. New Saab Television commercial released! While Swade’s snoozing the day away (at least from the Western Hemisphere point of view), this little jewel dropped into my text inbox via Twitter. You could do worse than to follow SaabNewsroom on the world’s most ubiquitous social network. We proudly present our latest TV commercial. 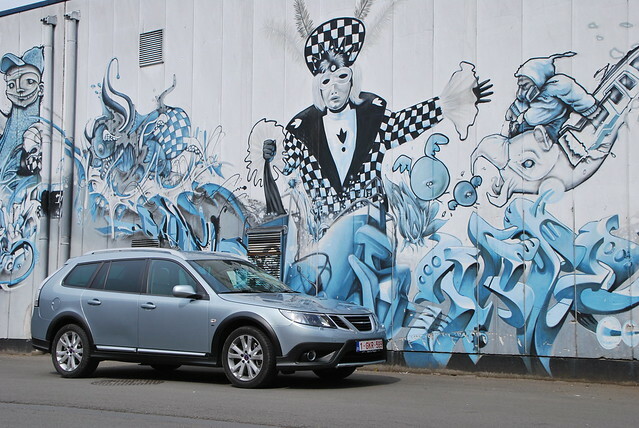 Part of the Changing perspective campaign that launches the new Saab 9-3X. Great soundtrack from the Swedish singer Asha Ali called Time is now! I like it on first glance. I still wish for a stronger technology edge, but I’ll admit my engineering orientation biases my opinions about such things. It appears that Saab is continuing the use of white and images of the creative process as an advertising “language” if such a thing exists. I am pleased with that. Comments are open and welcome. Swade: Opine, dear sir. All told, I’ve been a Car & Driver subscriber for probably twleve years of my life, including the last two. I’ve enjoyed some of the magazine, especially the irreverent humor, for the most recent span, but I’ve felt that the automotive opinions are as biased toward the Germans as any other press outlet is these days. Honestly, I don’t expect a great big entry for Saab in the “new cars” (September 2009) edition, because there aren’t any to speak of, really. With the new 9-5 delayed well past the autumn 2009 debut of the 2010 models, there really isn’t much news to report. However, there is plenty of company news to report — new ownership, the 9-5 in the pipeline, concept cars and the new 9-3x. I’ll give C&D a pass on the ownership news front given that the press time for the “September 2009” edition is in June (perhaps even late May? ), but certainly if Suzuki merits mention for the (somewhat uncertain) Kizashi, certainly the new 9-5 should merit some attention? At least there is enough Saab news to fill more than about one-tenth of a page. See the scans after the jump to see what I’m talking about.